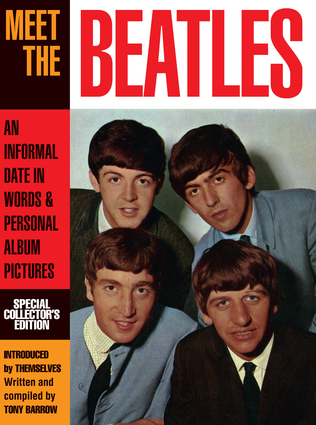 A uniquely firsthand introduction to the Beatles as they were in 1963, Meet the Beatles includes features on the band's background, their life in Liverpool, and a photographic record of a day in the life of the Beatles. It is a personal introduction to four young men in the process of becoming the world's biggest band. Originally selling more than a million copies, this special collector's edition, which retains the original cover art, is filled with rare photographs, many of which have not been reproduced elsewhere. It is a classic piece of Beatles' memorabilia that relives the days of Beatlemania. Tony Barrow became the pop reviewer of the Liverpool Echo as a teenager in 1954. By 1961 he was a freelance press consultant for the Beatles, becoming their full-time press manager from 1963 to 1968. After this he was a publicist for Gladys Knight and the Jackson Five, among others. He is the author of John, Paul, George, Ringo and Me and The Making of the Beatles' Magical Mystery Tour.